Doctor Who: Top 5 Missing Stories Animation Wishlist | Warped Factor - Words in the Key of Geek. Hooray, hoorah, Power of the Daleks is coming to a DVD near you soon, in what promises to be a pretty darned glorious animated version if the ‘leaked’ chunk is anything to go. But we’re Who-fans, dammit, we can’t be satisfied with such a potentially wonderful gift. Let’s look ahead to what we want in next year’s animated Christmas stocking. Which of the remaining missing stories would be top of our list? On the basis that you need some high-volume money-spinners to make the extremely costly process of animating the missing episodes profitable, and having delivered everybody’s top pick in Power of the Daleks, surely the next release to get fans geek-wet and raise interest from the general public would be its Troughton Dalek bookend, Evil of the Daleks. Daleks playing games, Daleks at war with each other, Daleks in Victorian houses, and most of all, the joy of the original Emperor Dalek, a concept borrowed significantly in New Who. 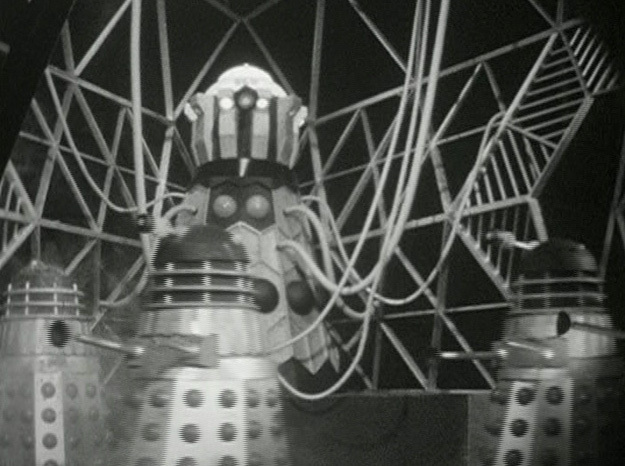 Evil of the Daleks would be a fabulous Christmas present in 2017, giving fans some of the most trippy visuals and high Dalek concepts in the series’ original run, and helping to establish the animated missing episodes as a viable product range in the market – a necessary move if some of the less monster-heavy stories are ever to get the animated treatment. Sure, it’s a story about killer seaweed, but even in its day, this story was rife with creepy imagery – advancing weed, Mr Oak and Mr Quill, the still-shocking idea of Maggie walking calmly out to sea to drown herself. 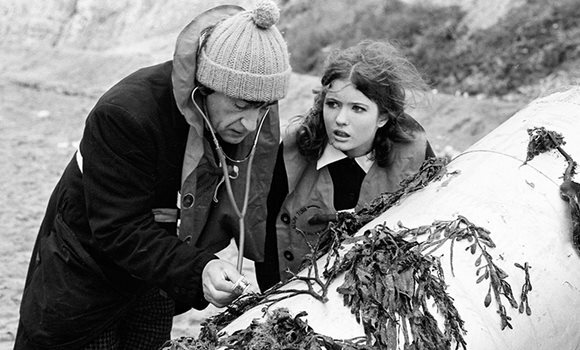 Fury From The Deep is one of the chilliest stories in the Classic Who library, and one that could make good use of the shadowy potential of black and white animation to deliver its scares to a while new generation. Like the surprise release of Enemy of the World, it might well introduce a new audience to some of the things Classic Doctor Who got up to in between the Daleks and Cybermen making their regular appearances, and it might well impress the hell out of a generation used to a certain ‘fairytaling’ of their Who with its bleakness and uncompromising, straightforward invention. 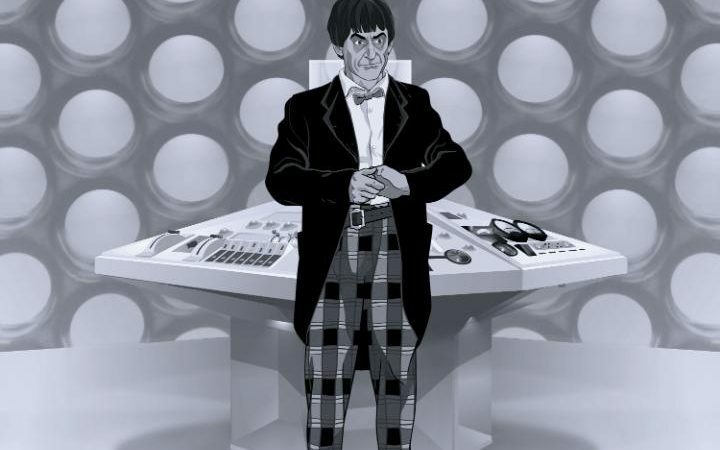 There’s a whole iteration of Cybermen that pretty much got the one-shot of The Wheel In Space, which, in the heart of this dyed-in-the-wool Cyberfan is enough to recommend The Wheel for the animated treatment. Obviously though there’s more to it than that – there are some great ‘looming’ shots of the Cybermen, there’s a plot that’s possibly even more barking mad than the one from Revenge of the Cybermen, and there’s the introduction of Zoe Herriot, who, in the record we have at the moment, simply turns up in The Dominators, having inexplicably replaced Victoria Waterfield. 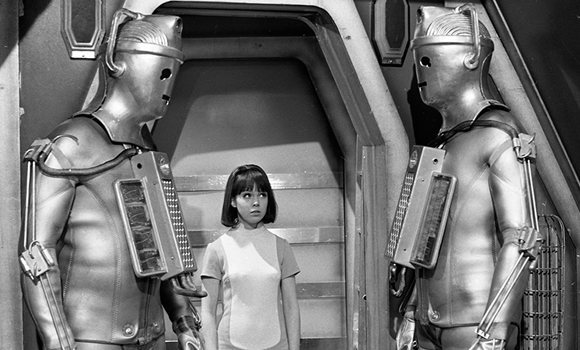 In terms of generating sales and revenue of course, it’s the only major Cyberman story left to which we don’t have DVD access, and the Cybermen, as the so-called Silver Medal villains, are known by the general public too, so animating The Wheel In Space makes sense in terms of both fan-hunger, important era-turning points with the arrival of Zoe, Cyber-completion and money money money. Not perhaps the most predictable of William Hartnell stories to choose for the animated treatment, especially when The Daleks’ Master Plan has yet to be delivered, but hear me out. The Savages has a great plot, with plenty of the philosophical depth and doing of the right thing that New Who has trained its audience to want from Doctor Who. It’s a tight, concise story with a dose of vampiric body horror a groovy social moral of the 1% leeching off the 99% and it brings Steven Taylor’s story with the Doctor to a close – the space pilot with the Teddy bear and no sense of home having grown into a man prepared to lead a divided people forward. Keeping The Daleks’ Master Plan for a different round of releases allows the funding to get a goose from the epic twelve-parter – perhaps released on two separate DVDs, to spread the cost for fans. 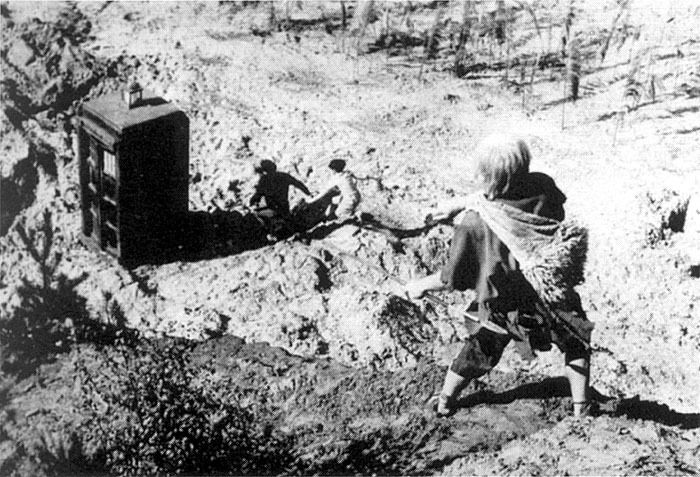 The Savages has enough that’s surprising, both in terms of its ideas and imagery and its social allegories, to appeal to a modern audience of Who-fans, and potentially remind non-fans that Doctor Who is not a show that’s succeeded over the years simply by having scary monsters chase people down corridors. Because Yeti, that’s why. 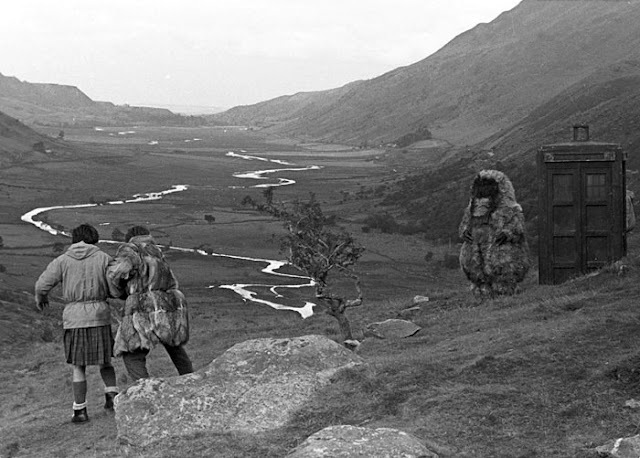 True, it’s not the best of the Yeti stories, and we’ve already been spoiled with the Web of Fear release, but Troughton and the gang faffing about with glowing balls in Tibet and the Yeti in the context that doesn’t make them look massively out of place has got to be worth animating. Perhaps not as strong in story terms as something like The Macra Terror (yes, really – the crabs are naff, but the story’s a corker! ), the original story to feature the Yeti and the Great Intelligence has got to take precedence, partly for the fan-value, and partly because while a New Who audience will have had experience of both the Great Intelligence and the Macra, it’s fair to say that as a villain, the Intelligence comes off better, so there’s greater buy-in potential from a younger audience. Plus, did we mention, Yeti! That’s our first five favourites for animating now that Power is sliding its way down a conveyor belt to us.